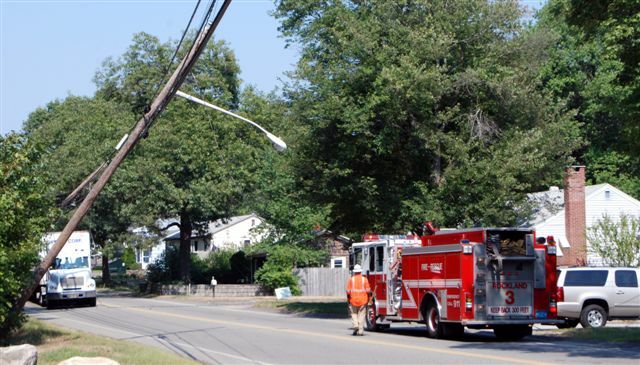 Electrical wires came down on a box truck and fire engine on Hingham Street on Thursday afternoon, temporarily trapping the truck driver in his vehicle and snarling rush-hour traffic. Lt. John Sammon of the Rockland Fire Department said firefighters responded to a report of wires down on Hingham Street at about 1:20 p.m. Fire department members arriving at the scene found that an electrical connection to a house had come loose. 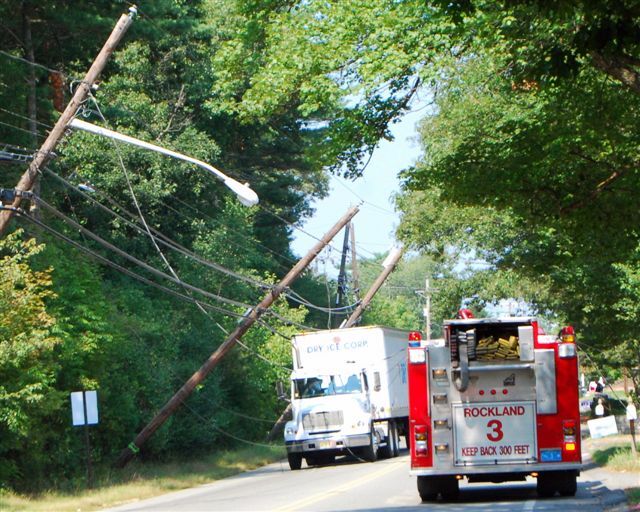 Soon thereafter, a box truck apparently snagged a low-hanging wire up the street and pulled down three telephone poles, Sammon said. That pinned the truck, he added, while a tangle of live wires also fell on the truck and the fire engine. 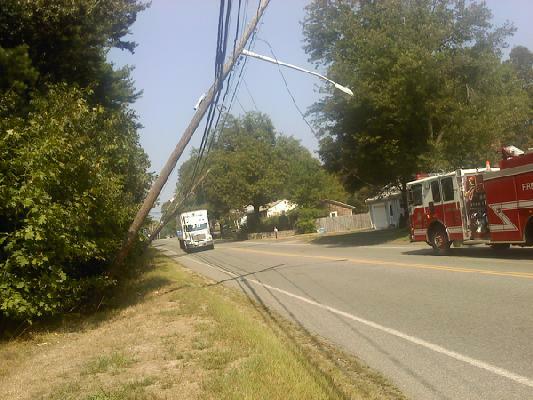 Sammon said the truck driver had to stay inside his vehicle until a National Grid crew responded to remove the wires. The driver was freed after about 25 minutes, but it took another hour to fully get the wires off the vehicle. The firefighters had already gotten out of their truck before the wires came down on top of their truck. Still, the section of Hingham Street near Reservoir Park Drive remained closed through rush hour while National Grid worked to repair the lines. No one was injured. Sammon said it was fortunate that no pedestrians were walking by when the wires came down.